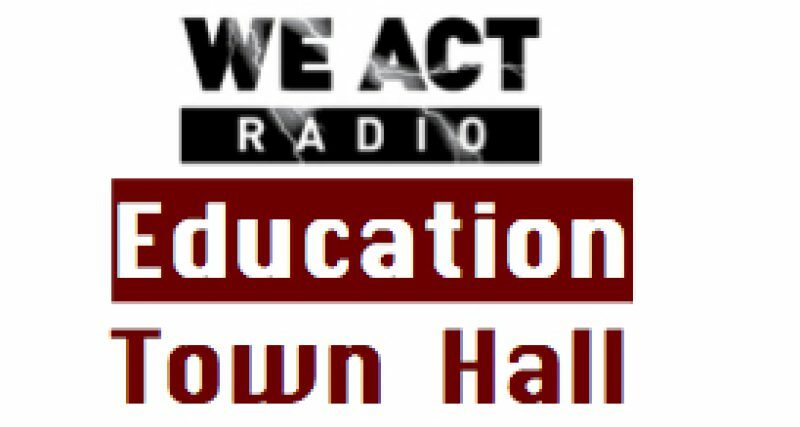 Parents from Orr Elementary School in Washington, DC, joined the Education Town Hall on May 1 to discuss community concerns which they say have been ignored by DC Public Schools for months. See full statement below. Primary among concerns is treatment of special education students and a cover-up of those conditions. (See also “The Washington Teacher,” which reported with photos.) Another major concern is principal Viyeka Wilson’s alleged disrespect of the school community, evidenced in part by a Facebook post, mocking students and a parent, for which Wilson has refused to apologize. After months of “going through channels,” community members took their concerns to the street on May 1. Check back for updates. Orr’s Principal Has to Face the Music! On Thursday, May 1, parents, teachers, students, and community members will take a stand for the children of Orr Elementary School in Ward 8. We are in a state of emergency – the principal of our school has blatantly disrespected our families and our children’s educational and life opportunities are being slashed. We met with our Assistant Superintendent Ms. Gartrell, brought our concerns directly to DCPS Chancellor Kaya Henderson, and testified at City Council. Yet, the principal hasn’t changed and we have seen no apologies or remorse for her actions—she has only further pushed to limit our kids’ opportunities and drive out the staff members who go above and beyond to help our kids succeed. Principal Wilson’s actions show that she does not care about students, abuses our teachers, and insults the parents. It is now May Day! On May 1at 4pm, we will rally in front of Orr Elementary School and in the streets of Minnesota Ave, SE. Students, teachers, parents and community members will collectively take a stand using musical instruments, our voices, and signs to get the message out that the actions and decisions of Principal Wilson are bad for our children and community. We will be loud, we will be powerful and we will demand a change in leadership for Orr. We want the best for our children. Bring an instrument or come help us make noise to make Principal Wilson and DCPS face the music! Orr parents… For the Love of Orr!